Here is a brief expaination of what the x-axis is from Mathworld.wolfram.com. My favorite things to do with an x-axis was mapping coordinates and finding their slope. In 7th grade I took algebra I'd love to shade the different sides of the lines with my collection of highlighters. Here some activities your kids can do. 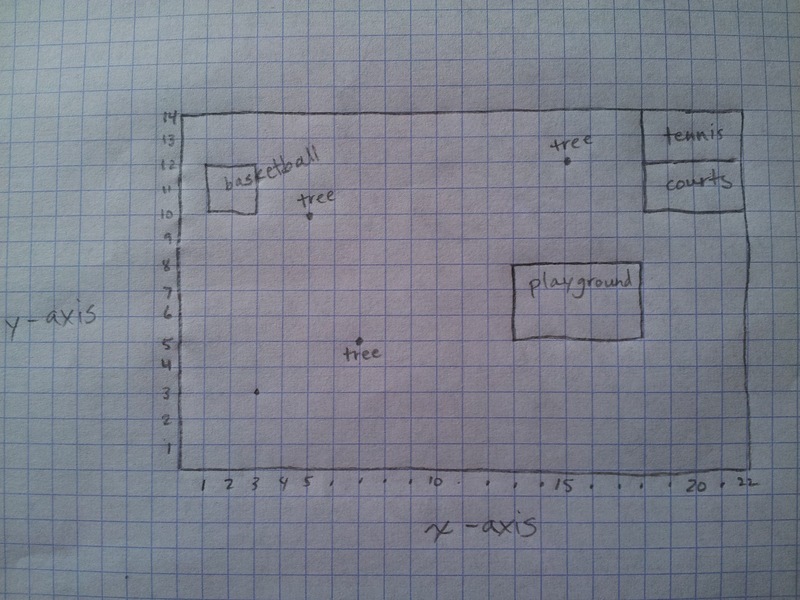 Make a map of a local park on a piece of graph paper or just make up your own map. Make the x-axis and y-axis and number them. 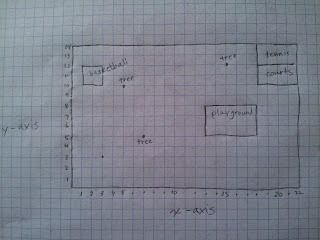 Plot out trees and major areas of the park (playground, tennis courts, fountain, etc). Label the coordinates for them. Can you find the slope between two trees or park features? What is the distance between the most distant points (hint you may need to make a right angled triangle to figure it out). Take a corner of the classroom or standard corner. Distinguish which one will be the x-axis, y-axis, and z-axis. With a measuring tape, plot out one item in the room such as a desk. Here are some tips on xyz drawings. Drawing 3D shapes can be pretty fun. What do you like doing with an x-axis?